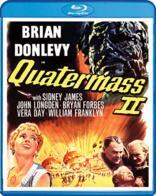 Professor Quatermass returns in this sequel to The Quatermass Xperiment! Quatermass 2 is the second and most talked about of the three science fiction stories written by Nigel Kneale and based on his critically acclaimed 1955 BBC series. Professor Quatermass, played by Hollywood veteran Brian Donlevy reprising his role from The Quatermass Xperiment, is Britain's most clever scientist. 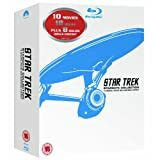 Investigating a series of bizarre incidents that have been reported from a deserted area, he finds a group of soldiers and government officials that appear to be controlled by aliens from another world. When a close friend is brutally murdered by these beings, Quatermass leads a mob of local workers to a showdown with the extraterrestrials. The film was retitled Enemy From Space for its U.S. theatrical release.